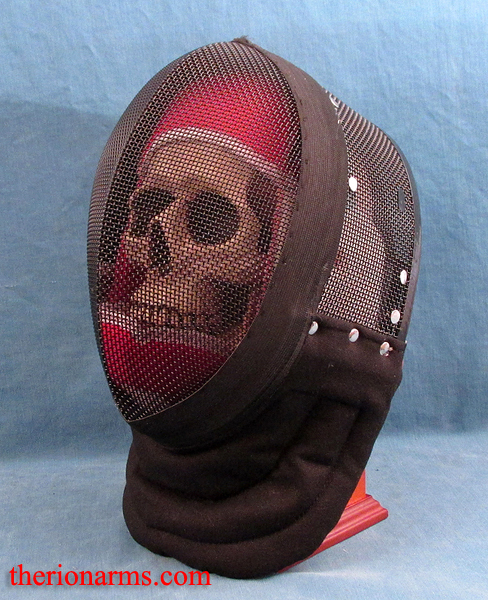 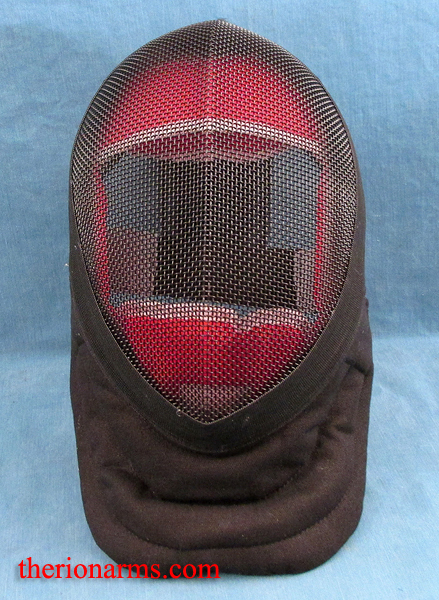 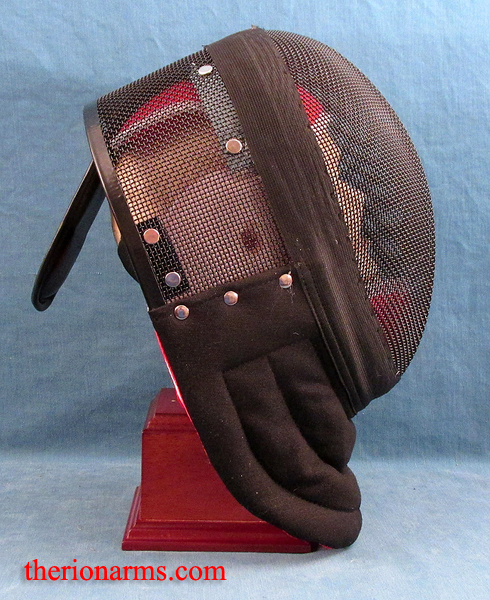 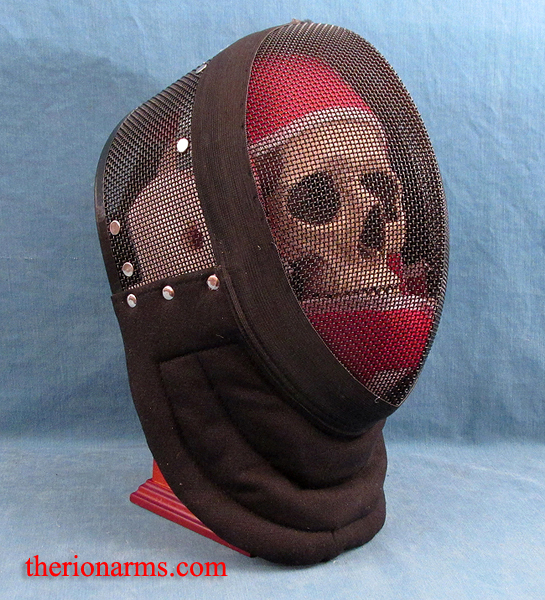 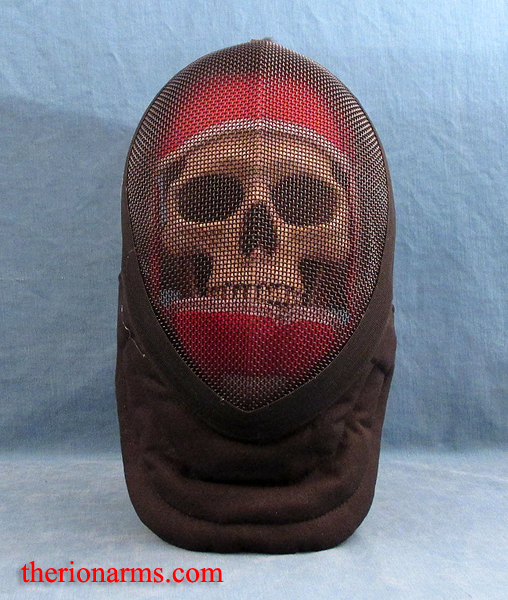 Intended for light duty SCA and HEMA fencing - black steel and mesh frame construction, two-part elastic strap with velcro closures, thick bendable black leather tab attached behind the head to help keep mask affixed, two part padded liner and neck guard. 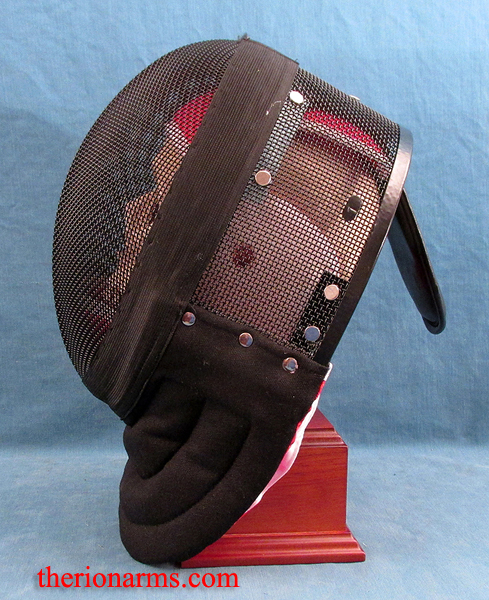 There's both a permanent layer of padding riveted to the mask and removable sections held in place with velcro strips. 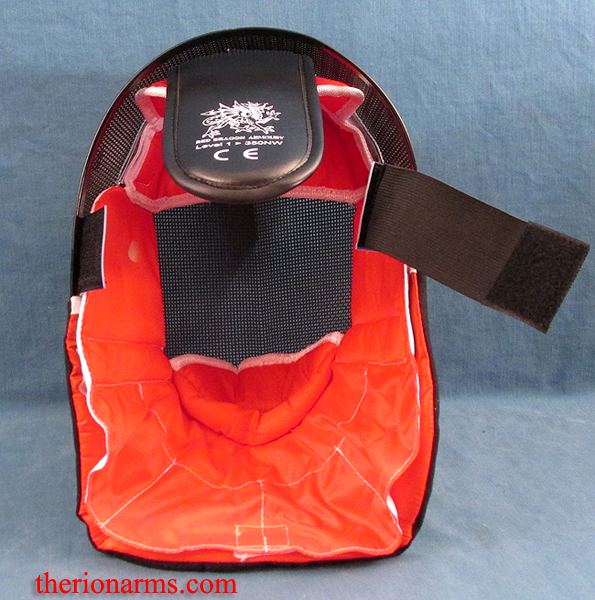 The foam interior padding is lined with a layer of stitched red fabric. 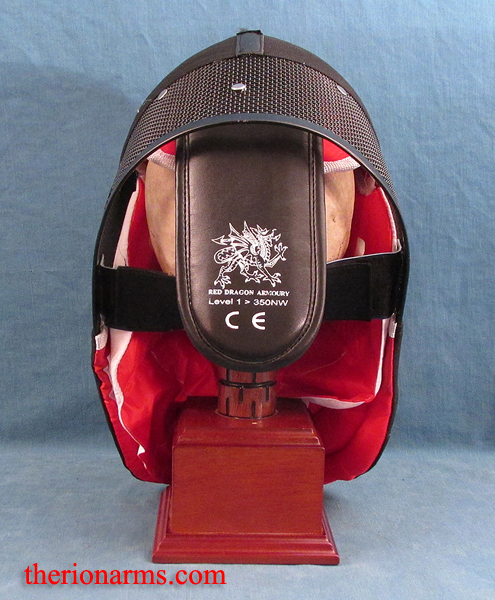 The sizing is based on your vertical head circumference. 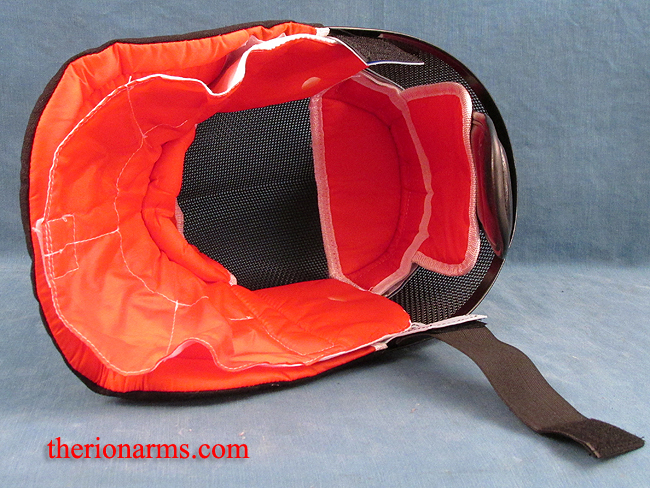 - Small 22" - 23 1/4"
- Medium 24" - 25 1/4"
- Large 26" - 27 1/4"
- XLarge 28 3/4" - 30"